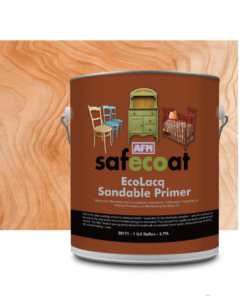 Safecoat Safe Seal is a multi-purpose, waterborne, clear low gloss primer/sealer. 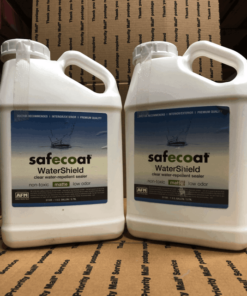 It is primarily for highly porous surfaces such as particle board, plywood, processed wood and porous concrete, but works well as an adhesion promoter underneath other Safecoat topcoats. 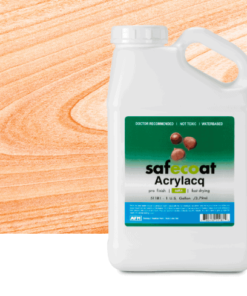 It is also commonly used to reduce toxic outgassing by flushing and sealing: in particular, it is highly effective at sealing in formaldehyde outgassing from processed wood such as plywood, particle board, OSB, and pressed wood. 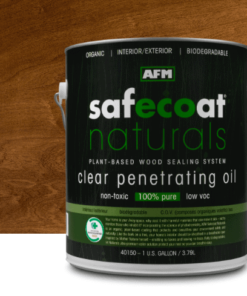 AFM Safe Seal adds water and moisture protection to a variety of surfaces and is virtually odorless on application and odorless once cured. 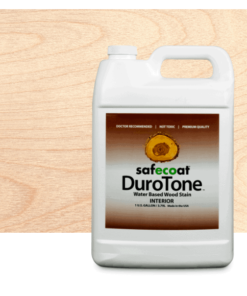 Porous surfaces such as processed wood products, concrete, wood, new drywall, and plaster. 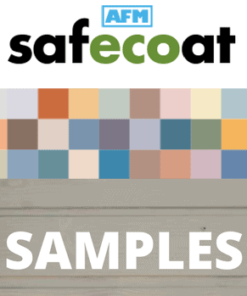 Test surfaces first in inconspicuous areas to be sure product absorbs into surfaces completely. 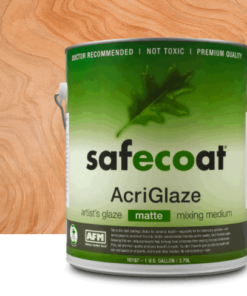 Excellent at controlling emissions of open faced and faced fiberglass batt insulation – simply fog spray surfaces. 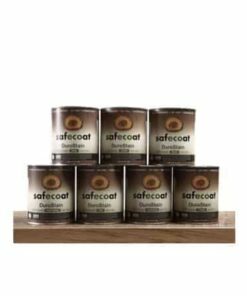 Safe Seal’s superior adhesion to a variety of surfaces allows for its use as a bonding primer to improve the adhesion and bonding power of adhesives and coatings on difficult surfaces. 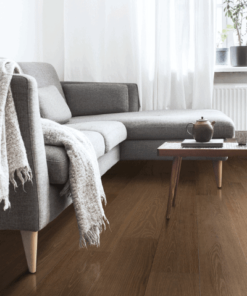 For example, apply a thin coat to the slab and bottom of the tile before laying floor tile adhesive (in this application no cure period is necessary; the adhesive may be applied while the Safe Seal is still tacky). 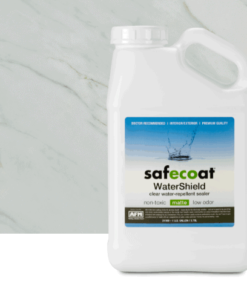 One gallon of Safecoat Safe Seal covers approximately 350 square feet in one coat depending on surface porosity. 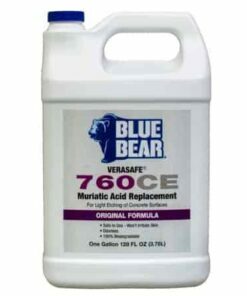 Highly effective at sealing in toxicity of underlying surface. 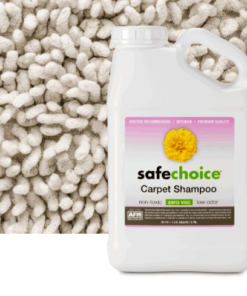 Safely used by and for the chemically sensitive. 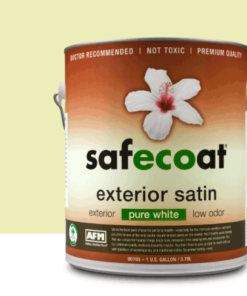 Low odor, non-offensive to installer and occupant. 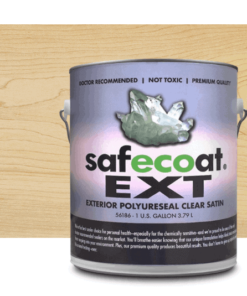 Fights indoor air pollution, seals in the outgassing from the substrate. 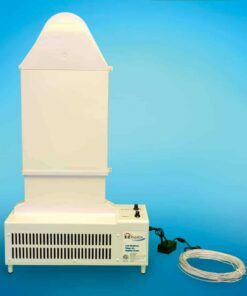 Low VOC content, meets or exceeds all federal and state air quality regulations, including California. 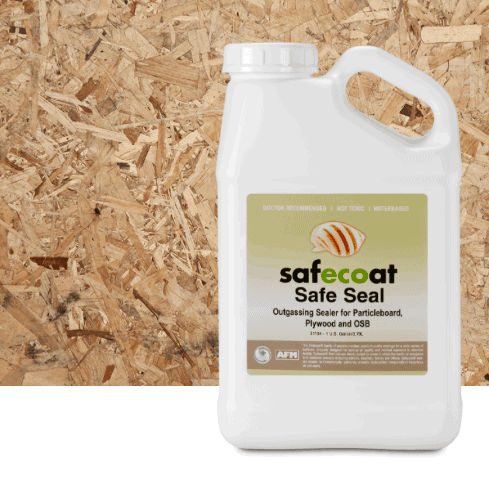 Safe Seal contains no formaldehyde.